We offer wire tie mounts, hose and cable clamps, studs, standoffs, and floating nutplates. All of our fasteners are mounted with our unique non-sag acrylic adhesives which hold the parts in place on a vertical or overhead surface providing a permanent high strength bond. 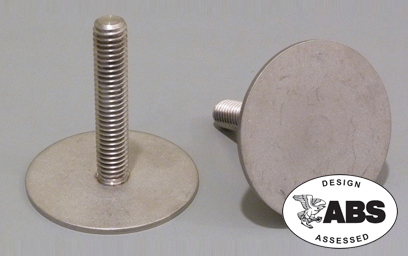 Our HS200 stud is designed for heavy load applications such as mounting filters and panels. The stud is inertial (friction) welded to a 2" base plate creating a very strong part. We offer two sizes. The stud is manufactured of 304 stainless steel. Tensile strength is approximately 1,200 lbs and shear strength is 1,500 Lbs. 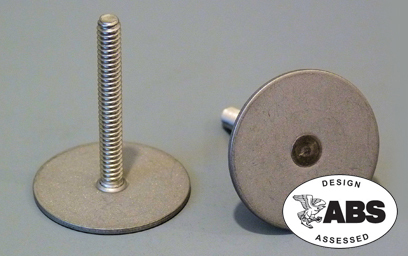 Our stainless steel stud mounts to virtually any surface using our acrylic adhesive. This Is a structural part with 500 lbs of tensile strength and 650 lbs in shear. All studs have 1/4 x 20 threads. Use for hanging panels, through deck mounts and many other uses. Just like the studs above but with a smaller threaded stud inserted into the base. 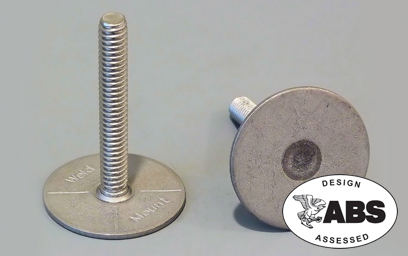 these studs are ideal for mounting wire clamps and securing items which require a smaller stud diameter. 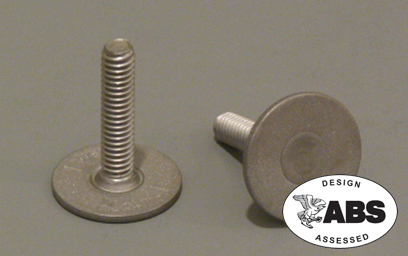 These studs can be bonded from either surface of the base plate. 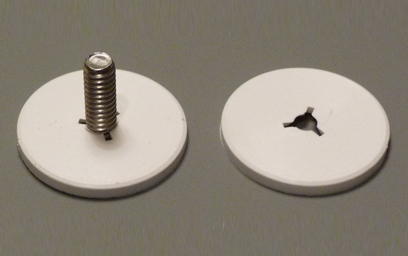 These small panel studs have a wide range of uses. Originally they were used for mounting on the backside of dash panels or for mounting to the console. Now they are used for securing a wide range of wire clamps and other small components to composite surfaces. 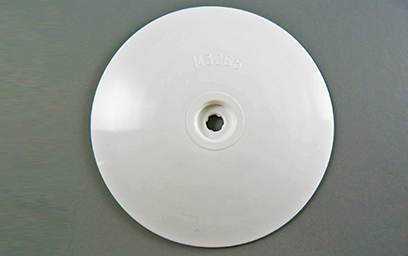 The base plate is 0.62" in diameter with a .75" or 1.5" tall stud. Tensile strength is 300 lbs and shear strength is 375 lbs. For applications, such as engine rooms, where our stainless steel studs may be visible we can provide press on white nylon caps to improve the appearance of the installation. The caps are "Matterhorn White". Install the caps before bonding up the studs. The caps are available for 1/4" x 20 and #10 x 24 studs. Weld Mount now offers a 3” polypropylene insulation washer for use with our ST125-1024 stainless steel studs. Chose a stud ¼” longer than blanket thickness and secure in place with a nyloc nut.